My first year as county legislator is in the books and year two has already begun. Thank you again for choosing me as your county legislator in 2017. I truly love this job, working with my colleagues, learning and pushing on your behalf to bring much-needed oversight and common sense to decisions made at the county level. My favorite part of this job is the opportunity to meet and advocate for our neighbors when it comes to local government and the schools. Among other efforts this past year, I advised a family on resolving a busing issue with the school, kickstarted the process of successfully reducing the speed limit on Budds Corners Road and called on the County Department of Public Works to restore eroded guard rails along West Broadway in Tivoli (hopefully to happen this spring) – all concerns brought to me by constituents. So if you need help or advice on how to navigate local government, I’m here for you. Don’t hesitate to reach out anytime – call or text me at 845-293-2088 or email me at kris@munnforredhook.com. If I can’t help directly, I will find out who can. The recent budget we passed reduced the 2019 county property tax rate. County taxes only make up about 10% of your property tax bill but at least that portion will be about the same or slightly less this year. This is thanks primarily to the growth of our Dutchess County economy and the sales tax revenue it generates. Red Hook Community Center in early 2018. It will soon expand to 5 days a week. We increased our Senior Friendship Center schedule to support 5 days a week so check in at the Red Hook Community Center for more information. We’ve expanded the Domestic Abuse Response Team (DART) to provide help county-wide including Red Hook and Tivoli rather than just in a handful of towns. We also approved funding for the construction of a much-needed emergency services and training center for our first responders. The opioid crisis continues to take more lives each year in Dutchess County and we continue working to reduce the overprescription of painkillers, one of the primary sources of addiction in our community. As pills get harder to find, some seek treatment but others turn to more dangerous drugs and that can lead to an overdose. Fewer opioids on the street can lead people to find treatment… or to turn to alternatives. To help, I put forward a modest local law to require every pharmacy to provide a prescription drug take-back box – paid for by the drug companies. Our local county effort was blocked but thankfully the state passed a similar law later in 2018. We also increased funding for educational services and outreach about opioid addiction and mental health services. I will continue to push for expanded services to combat this crisis including offering treatment to those who find themselves in our county jail. At the end of 2018, even if someone has already sought treatment for addiction and is under a doctor’s care, if he or she is arrested they are not able to continue receiving their prescription while awaiting trial. This can lead to relapse and more crime. Starting last year, the county legislature is no longer a rubber stamp for county government. My colleagues and I ask questions and those questions, along with the efforts of our County Comptroller Robin Lois, have forced the county to follow proper procedure and end some of the sloppy practices that have led to mistakes and wasted money. 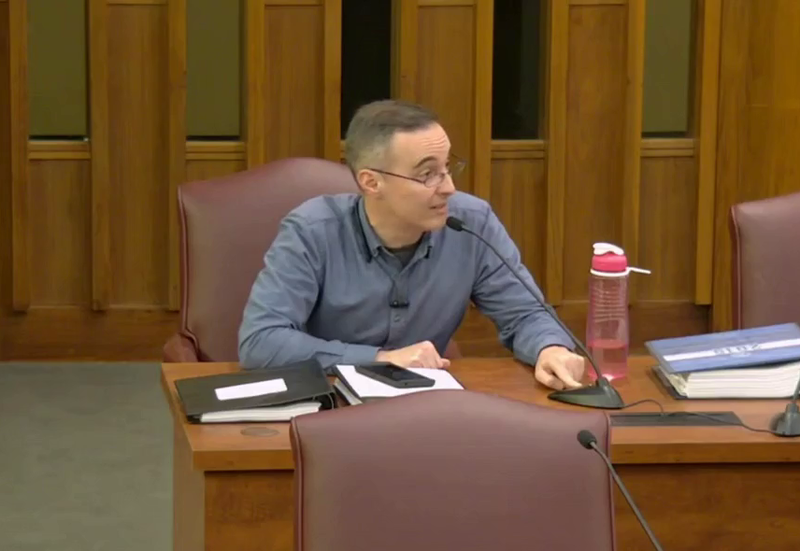 Legislator Kristofer Munn (D-Red Hook / Tivoli) questions the administration on construction cost overruns during a meeting of the Dutchess County Legislature. Unfortunately, a number of past and ongoing county construction projects were revealed to have significant cost overruns due to mistakes or incorrect assumptions made during the planning and construction process. After some investigation, I was shocked to discover that the county had no written policies or procedures for handling large capital projects. When the public defender’s office renovation nearly quadrupled in cost (from $1.7M to $6.3M), I demanded that new policies and procedures be implemented before we approve any future projects. Those policies are now in place. And with proper oversight, I hope we won’t see as many problems in the future. 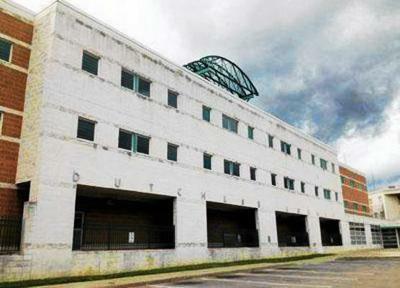 The new Dutchess County Jail construction project will cost more than $180M before interest payments. The new $180M+ jail project is scheduled to break ground later this year. I continue to believe this 500+ bed facility needs to be reconsidered and right-sized. As I warned during my 2017 campaign, the changes in Albany after the 2018 election will likely give us bail reform similar to what they have done in other states. Bail reform will likely reduce our jail population by 20% or more by allowing nonviolent offenders to go back to their families and jobs while they await trial. If we build this oversized jail, we will have dozens or perhaps hundreds of empty beds – a serious waste of money. A smart redesign will save us millions in unnecessary construction costs. After scouring the budget last fall, I discovered our current jail continues to consume millions of dollars in overtime every year, with one dollar of overtime for every 3 dollars of regular time for the last five years ($25M+ in overtime spending). Compare this to Ulster County where they spend one dollar of overtime for every 10 dollars of regular time. Excessive overtime is dangerous to both the corrections officers and those held in the jail with long work hours leading to expensive injuries and mistakes. After documenting more than five years of failure to fix this problem, I authored a budget amendment to add staff to try to reduce the overtime problems. It would have cost taxpayers nothing in the short run and saved money in the long run. My amendment was rejected but I will continue to monitor the situation at the jail and speak out if progress is not made. Dealing with government can sometimes be confusing and frustrating – trust me I know – but I want to be your advocate. Over the past decade, I have established relationships with people in village, town, county and state government so if I can’t help you I can probably connect you with the person who can. Do not hesitate to contact me – I’m here to help! After many meetings and numerous amendments to improve the budget, the Dutchess County Legislature approved the 2019 budget which lowers the property tax rate by 2.5%. Legislator Munn questions a speaker during a meeting of the Dutchess County Legislature. Among the added budget initiatives was the restoration of a 5 day week to the county’s Senior Friendship Centers. 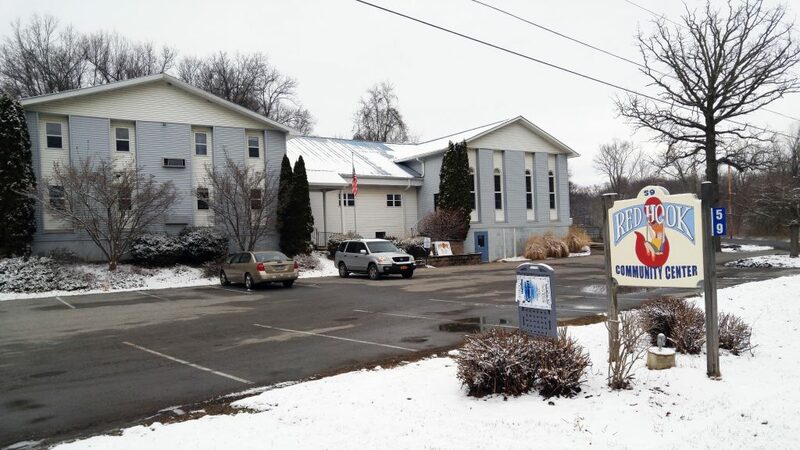 During the budget process, Munn added additional positions for an Assistant District Attorney and an additional caseworker for Dutchess County’s Child Protective Services to help with their high caseloads. One of the most contentious issues was the continued understaffing and overtime problems at the county jail. For the fifth year in a row, 25% of the hours worked at the jail will be overtime, a rate much higher than neighboring Ulster County’s 10%. In addition to more part-time staff, Munn proposed an amendment to create 10 more full-time Corrections Officer (CO) positions which, if filled, would pay for themselves in the first year by reducing overtime costs and save taxpayer money in the long run, reduce workplace accidents and improve the quality of life for county employees. Properly staffing the jail would also provide the opportunity to provide treatment and rehabilitation services to those suffering from opioid and other addictions. The amendment was narrowly rejected. On September 18, Dutchess County announced Municipal Innovation Grants including $108,000 to assist Tivoli’s water system transfer to the Dutchess County Waste Water Authority and $50,000 for bathroom accessibility improvements at the Red Hook Recreational Park. In addition to the $158,000 for local municipalities, the grants include $256,850 for crisis intervention training that will provide officers with the tools necessary to identify, intervene, de-escalate and divert individuals from inpatient hospitalization and the criminal justice system to community organizations that can address their needs. Research suggests an estimated savings of $100,000 annually. Also included is $825,090 for the Dutchess County Drug Task Force. This funding will provide the team with a consistent task force, alleviating the financial burden from the four departments who provide an officer currently, allowing the task force the ability to enhance operations, increase investigations and arrests, and increase property seizures. The task force saves an estimated $3.5 million in other costs, annually. 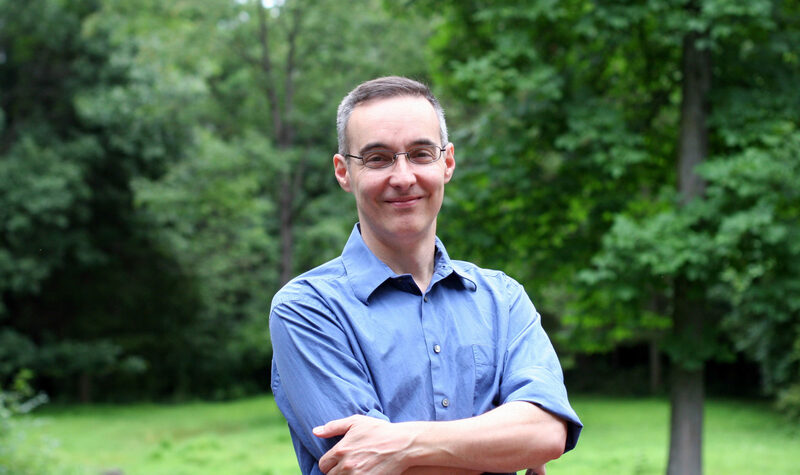 At the July 9, 2018 full board meeting of the Dutchess County Legislature, members unanimously passed a Democratic resolution co-sponsored by Kristofer Munn (D-Red Hook) to improve outreach for citizen participation in volunteer boards and committees, overcoming Republican resistance at the June sessions. The final amended form of the resolution, entitled “Resolution to strengthen outreach and participation in Dutchess County volunteer boards and committees,” requires the county to list the many volunteer boards and committees on the county website in a consistent manner and explain their purpose. It would list the members of the committees, provide details on when and where they meet and how to volunteer to join one. It also requires that candidates put forward for appointment or reappointment include an updated or current resume. Previously, the membership of many boards was unavailable and the very existence of some committees were hard to confirm, even by legislators. Originally introduced as a transparency resolution covering all of county government and requiring the publication of agendas and minutes, the resolution was amended by Republicans in July to remove those requirements and to exempt the County Executive’s meetings and boards. Republicans had voted against considering the original resolution on June 7 on a party line vote. The Democratic caucus is a proponent of transparency and will continue to support and push for more resolutions such as this to insure better government. “Although this is a watered down version of the original transparency resolution that Legislator Edwards worked tirelessly on, I am happy that we were able to finally get a resolution on the record that will prove to offer the public a real opportunity to get involved in their local government along with staying up-to-date on the issues we are working to resolve,” said Minority Leader Hannah Black (D-Hyde Park). “An inclusive government makes our community stronger. 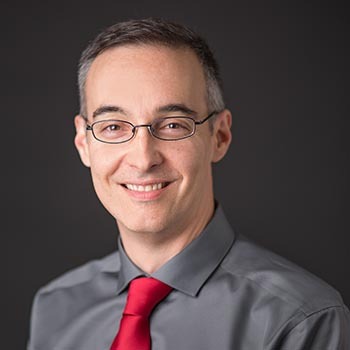 Especially when progress comes with a $0 price tag, perpetuating barriers to participation is indefensible,” said Legislator Nick Page (D-Beacon). At the July 9 meeting of the Dutchess County Legislature, the annual budget for Dutchess Community College (DCC) was approved 16-7. The budget increases the the county’s contribution by $1.75 million over the previous year, primarily due to reduced enrollment. College attendance is counter-cyclical. When the economy is going well, many would-be students opt to join the workforce rather than attend college. DCC receives state funding on a per-student basis so when attendance wanes, state funding drops as well as tuition – fewer students means less tuition collected overall. The increase has no immediate impact on county taxes and will be factored into the annual budgeting process this fall. Eventually, when the economy slows down and jobs are tougher to find, enrollment will increase, state funding will rise and the county will be asked for less. The typical split for community colleges has the county, the state and the student each splitting a third of the costs. With this budget, Dutchess County will still be contributing just 26%. 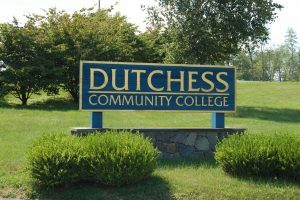 Several residents and alumnae from the county came out to speak in favor of supporting the requested funding for Dutchess Community College. Key points made by many residents included the need for ongoing access to quality education and giving students of all ages better opportunities in life. The resolution passing the budget also calls on Robin Lois, the Dutchess County Comptroller, to do a full assessment of the college’s books, something that was already on her schedule. 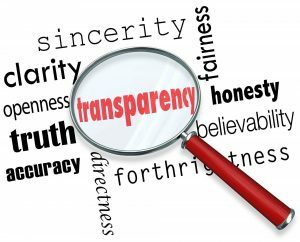 At the June 7, 2018 committee meeting of the Dutchess County Legislature, Republicans unexpectedly voted in unison to block a resolution to improve transparency in county government. The committee vote occurred along party lines, 6-5. The resolution, entitled “Resolution for Transparency in Dutchess County volunteer boards and committees” would require the county to list the many volunteer boards and committees on the county website in a consistent manner and explain their purpose. It would list the members of the committees, provide details on when and where they meet and how to volunteer to join one. Currently, the membership of many boards is unavailable and the very existence of some committees can be hard to confirm, even by legislators. Originally put forward at the May meeting, it was tabled at the Republicans’ behest in order to get an updated fiscal impact statement and to clarify the request for the county’s IT department. The current fiscal impact statement is zero – no cost for improved transparency – based on updated language. The June vote was to resume consideration of the tabled resolution. Republicans that had stated their support on the floor in May, including Will Truitt (R-Hyde Park), suddenly voted against discussing the same resolution in June. “If you want to get involved with county government, it ought to be easy to find out how. Government, after all, is not some distant foreign thing, made up of ‘them’. Government is us; we, the people. That’s really what this resolution stands for,” said Legislator Frits Zernike (D-Beacon). The effort to add volunteer boards and committees to the website follows a successful rules change in January proposed by the Democrats to require legislative committee minutes to be posted separately on the county’s website. 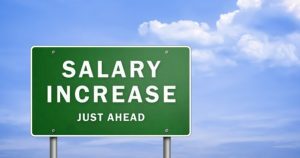 Does the June 11 vote to make it possible to raise salaries this year mean salary hikes for politicans are in the offing? At the June 11, 2018 full board meeting of the Dutchess County Legislature, Republican legislators voted to make it easier to raise their own salaries and those of other county elected officials. Legislator Kristofer Munn (D-Red Hook) and every other Democratic legislator was opposed to the change. The local law was approved 13-10. The new law, when signed by Dutchess County Executive Marcus Molinaro (R-Red Hook) who did not oppose the measure, allows the legislature to vote to raise the salaries of elected officials (including Molinaro’s) in any year instead of just election years. Molinaro is currently running for governor of New York and did not attend the meeting. During the meeting, Legislator Barbara Jeter-Jackson (D-Poughkeepsie) asked the chamber if someone could explain why this change was necessary and good. Her query was met with silence from the assembled lawmakers and administration staff. The new law was sponsored by Chairman Gregg Pulver (R-North East), Assistant Majority Leader Don Sagliano (R-Pleasant Valley) and Legislator Jim Miccio (R-Fishkill). None of them answered Legislator Jeter-Jackson. The existing law required that votes to change salaries could only happen during election years before July 15 to allow the voters to weigh in immediately on the decision. For example, legislator salaries could only be voted on in odd-numbered years (not in 2018) and salaries for elected officials with four-year terms like county sheriff, county clerk and county executive could only be voted on once every four years: the year they face the voters. Under both the new and old laws, any salary changes will not take effect until after an election and the next term begins. “Good government allows for its people to participate in it and holds elected officials accountable. This new law is the opposite of good government,” said Minority Leader Hannah Black (D-Hyde Park). Democrats in the Dutchess County Legislature recently proposed legislation that would require drug manufacturers to pay for the installation of secure, drug take-back boxes at every pharmacy in the county rather than making the county taxpayers (or local business owners) foot the bill. On Wednesday, Democratic legislators again called on the Republican leadership to allow their legislation onto the floor and to do more for residents that want to dispose of their unused prescription drugs and help combat the opioid epidemic and reduce teen drug abuse. 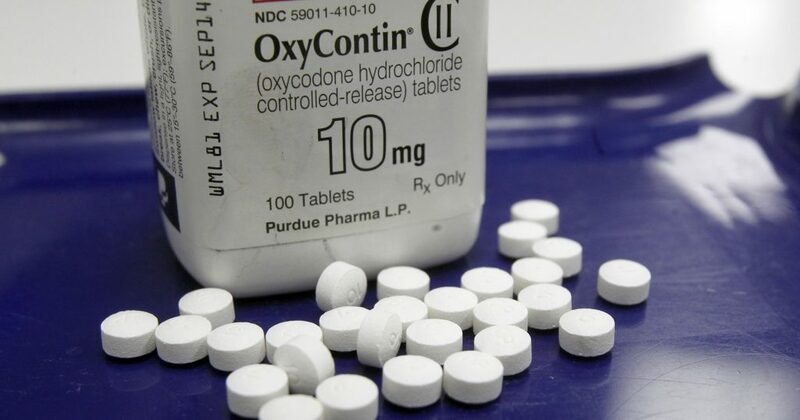 “This is one small way that the pharmaceutical companies that have profited so handsomely from the over-distribution of these narcotics can begin to assume some responsibility in mitigating the damage that they cause,” said County Legislator Nick Page (D-Beacon). On Monday, May 14, the Dutchess County Legislature unanimously passed a resolution to help a handful of qualified pharmacies to set up secure drop boxes for unused prescription drugs. This act applies to just six pharmacies in towns that do not already have a drop box at their local police stations. The county will offer $1500 to pharmacies who are willing to install the take-back boxes to help offset the cost. This grant money will allow for small, mom and pop pharmacies to participate without financially straining their businesses. The Democratic caucus plans to resubmit the legislation requiring drug take-back boxes county-wide. The Dutchess County Division of Solid Waste Management will hold a Household Hazardous Waste Disposal & Electronics Recycling Event on Saturday, April 7th from 8 a.m. to 12:30 p.m. at the Dutchess County Resource Recovery Agency, located at 96 Sand Dock Road in the Town of Poughkeepsie. The collection is open to Dutchess County residents only. This popular event is first-come, first-served, and residents should expect to experience wait times. 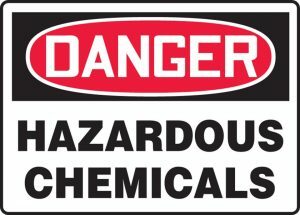 Hazardous waste in containers larger than 10 gallons will not be accepted. Pre-registration is required for this event and there is a $10.00 registration fee. Residents can register online or by calling (845) 486-3604. The fee can be paid online using a credit card or paid by check. Checks should be made payable to “Dutchess County Commissioner of Finance” and mailed to or dropped off to the Dutchess County Division of Solid Waste Management at 27 High Street, Poughkeepsie, NY 12601. The Household Hazardous Waste Disposal & Electronics Recycling Event provides residents with a safe and responsible way to discard a diverse range of household items that cannot be disposed of through regular recycling or garbage bins. Acceptable items include television sets, computer monitors, telephones, pesticides, pool chemicals, and more. A complete list of acceptable items to bring to this disposal day is included below. The Dutchess County Division of Solid Waste Management collection events are partially funded by the New York State Department of Environmental Conservation. Additional collection events are planned for June 16th and October 27th. Dutchess County is looking to hire a number of students entering or attending college for many different jobs with pay rates ranging from $10.50 up to $15/hr depending on role. 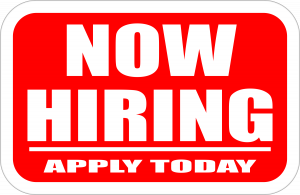 If you’re interested in the position or know somebody who might be, please click here to read more about it and other jobs available with the county. Hi! As your county legislator, I believe it is important to communicate with Red Hook and Tivoli about what is happening and give you the opportunity to weigh in with any thoughts or concerns you might have.